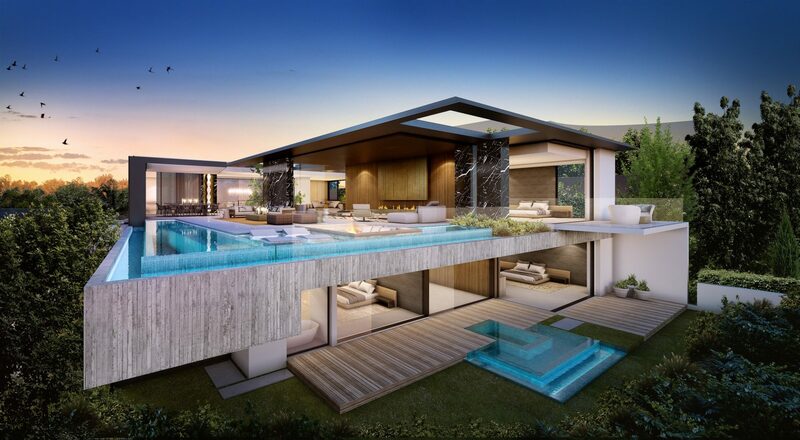 SAOTA, Cape Town based award winning and exceptional villa designers, are now well-established across the top-end Los Angeles residential market. 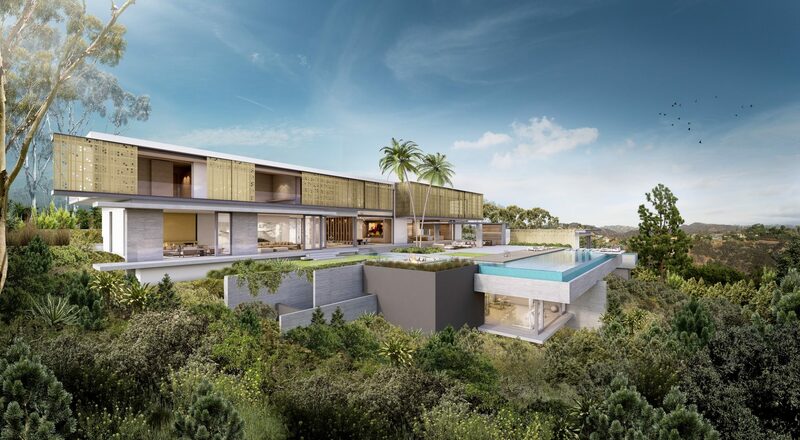 With projects in over 40 countries, SAOTA are known for their iconic contemporary projects which display clean lines, pure forms and a powerful relationship to site and views. Los Angeles, which shares a similar climate and topography to Cape Town, lends itself to seamless indoor outdoor open plan living; something that SAOTA have mastered in their memorable and generous naturally lit spaces. Inspired by the groundbreaking Los Angeles case study houses from the 1940’s, the designs have evolved to exude the qualities of contemporary requirements and lifestyles. Hovering over the Bel-Air Country Club on a promontory site, this home is inspired by the Los Angeles case-study houses. It implements cantilevers and strong horizontal planes to hold the horizon and views through the valley towards the Century City skyline. 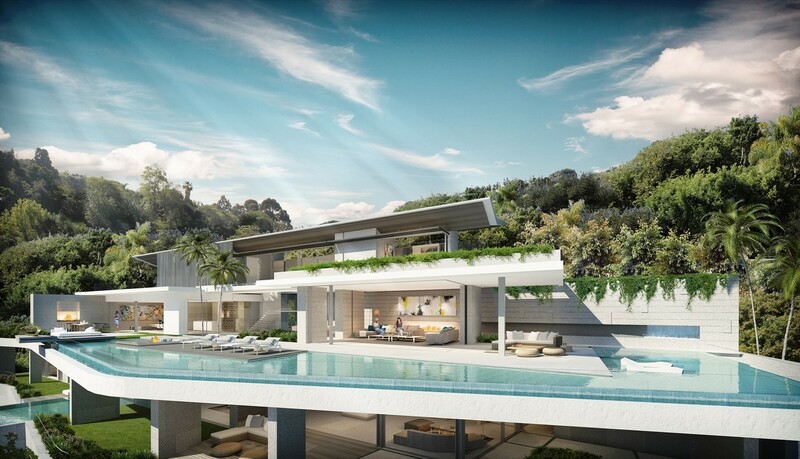 The linear shaped site is set on an extreme slope that is tucked away in the valley of Bel-Air, Los Angeles. The elegant butterfly roof floats above the building and reinforces the oblique south east view. Located on one of the iconic Bird Streets, the key spaces are placed to take best vantage of the diagonal south-east view to Downtown Los Angeles. While the self-assured dark roof structure holds all the spaces together, the supporting walls are view guiders – angled, tilted, twisted to direct the eye through the house, across the pool to the city. Wallace was conceived as a series of sculptural objects consolidated by a principal over-sailing roof element; where the voids between the objects become the living spaces. The double height courtyard down to the basement and its inherent volumetric experience is unique to the Trousdale area. One promontory over from Pierre Koenig’s Stahl House in Sunset Plaza, Hillside has views in every direction. The views necessitate an openness with few walls and the architecture is defined through the floating, overlapping horizontal floor and roof plates curating specific view axes. Conceptualized as an assembly of structures on the banks of one of the highest sites in Bel-Air, the design creates a large level garden in the sky with views both down the valley towards Century City and back to the Stone Canyon Reservoir. 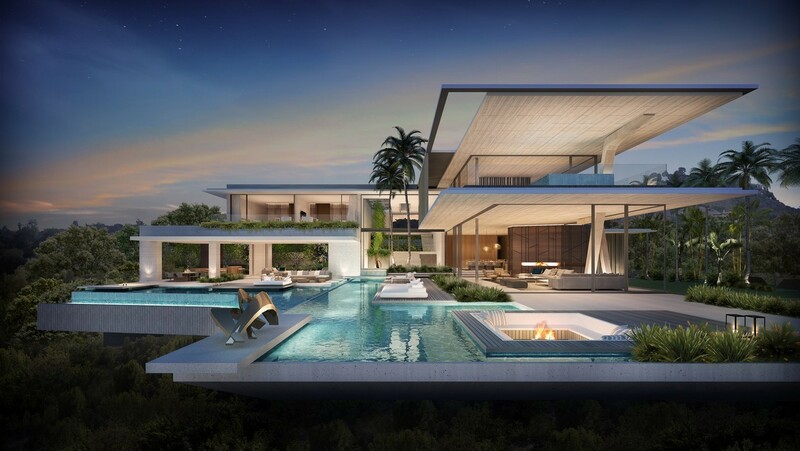 More SAOTA projects are underway in Miami, Austin and the Hamptons in New York.